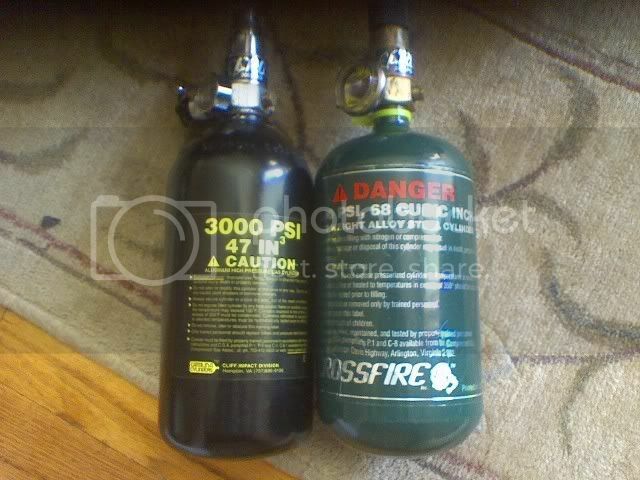 The 68ci tank should be noticeably larger than the 48ci. 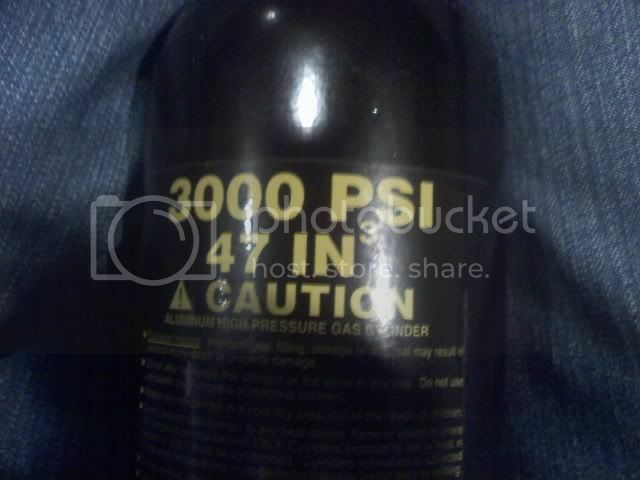 The ci refers to the volume (aka larger) and the psi is just what it is rated to hold. 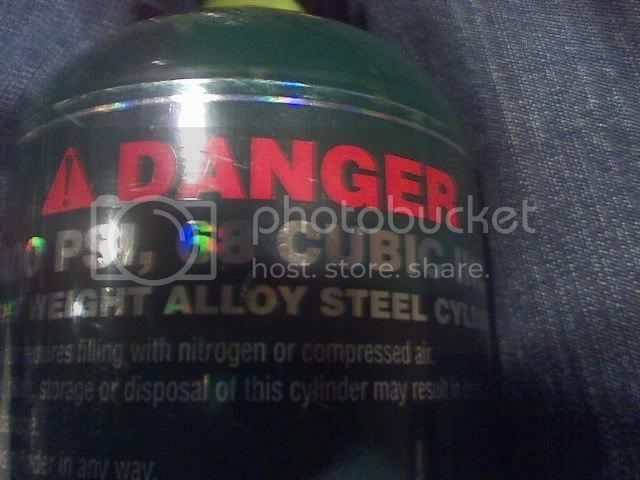 The 47ci tank is aluminum and the 68ci tank is alloy steel. More aluminum is required to withstand the pressure per internal square in than steel. What I mean is that the 68 will have thinner walls than the 47 since the steel is structurally stronger than the alluminum. That internal volume on the 47 will be less than the 68 but the outside might appear the same. Also, the 47 tank is likely heavier than the steel because of the additional material. Here is a link to a thread that may help further explain this. That looks about right. Even though the tank is shorter, the width will more than make up for that. only if you fill the tank to 3000 and no more. would the only prob be the burst discs or are there other things as well?